Local officials have once again closed the shipbreaking plot where the Aces is beached, and they are investigating how the operation won the government’s approval to resume work. 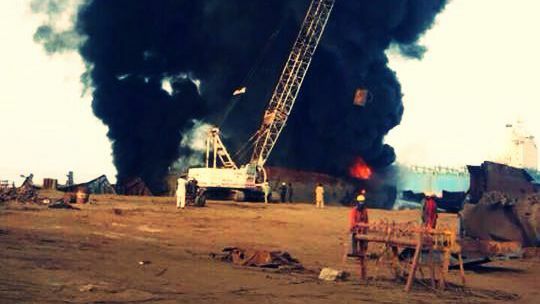 Pakistani union leaders contend that Gadani’s shipbreaking laborers work in dangerous conditions for low wages, and that too little has been done to improve conditions. At a rally on Wednesday in Gadani, NTUF President Rafiq Baloch said that nine people have died on the beach in similar accidents since the Aces fire one year ago.